When we think of bad teeth, we think of the seemingly insurmountable pain involved of a toothache, tooth extraction, and root canal among other medications and operations involved with treating teeth problems. We rarely ever associate teeth problems with other health problems. But can bad teeth cause health problems ? Bad teeth are a general term for all types of tooth problems. Some teeth problems are fractured or cracked teeth, impacted wisdom tooth, cavities, abscess or infected teeth, periodontitis, and temporomandibular joint syndrome (TMJ syndrome). All of these types of teeth problems may lead to much more complicate conditions. Just like most diseases and infections, if a teeth problem is left untreated, there is a big chance that it would lead to complications. An infection can spread out to other areas throughout the body. And not only does the infection harm your body physically, it can also affect your mood. It affects your disposition. Teeth problems can lead to depression and low self-esteem. The pain can also make you more irritable or hot-headed. And this negative vibe can make you more susceptible to other health problems. The most common disease brought about by teeth problem is heart disease. It may seem odd that a bad tooth can lead to a cardiovascular problem but it is true. One heart problem that can be brought about by a bad tooth is a disease called subacute bacterial endocarditis. This disease is a severe infection of the heart lining, wherein the bacteria collect at a site in the heart that has been previously damaged. The bacteria come from the outside and enter the body through an opening, such as a fractured tooth or a cavity. When the bacteria have entered into the body through your bad teeth, it flows through blood stream and enters the heart. Another cardiovascular problem caused by bad teeth is stroke. Periodontal disease can cause stroke and other heart problems. And with pregnant women, it can also lead to giving birth to low weight babies. Periodontal disease, also known as periodontits or gum disease, is an infection of the gums, the tissues and the bones that support the teeth. The spread of a tooth infection is not only limited to the heart. Other area of the body can be affected. 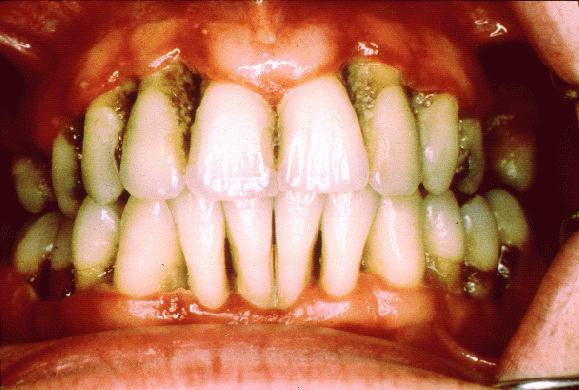 The brain may also be infected by the bacteria thriving in your bad teeth. Once these bacteria enter the blood stream, there is no telling on the organs, glands, and tissues that can contact the pathogen. Another problem due to bad teeth is due to impacted wisdom teeth. An impacted wisdom tooth is when the wisdom tooth grows lying down, pushing the other teeth. And it can make your thyroid underactive if left untreated for years. It can also weaken your jaw. There are a lot of other health problems that can be brought about by bad teeth. And bad teeth effects are not limited to the physical effects. It also affects you psychologically. Bad teeth can cause depression. They can leave you feeling even worse than you should be. I’ve been having health problems for years. I finally found a dentist to do my whole mouth and takes my insurance. My lymph nodes swell though my whole body, I get big blisters on the skin, my mouth breaks out in canker sores, I’m always having shooting pains through my head, my legs swell really bad, I’m really moody, and we’ll I’m just tired. And my eye turns red, but only half of it. I’ve been to so many doctors and had so many tests ran. It all comes back I’m healthy. Does this sound like it can be my teeth? It’s been a tough journey and I just want my life back. Are implants a source of infection that could spread to the heart and other areas?